Karen Stafford’s practice is primarily focused on insurance coverage, insurance bad faith litigation, general commercial litigation and appellate law. Ms. Stafford advises clients on a wide range of complex insurance issues, including first party property claims, third party liability claims, and bad faith actions. Ms. Stafford has experience in all aspects of civil litigation and trial preparation. 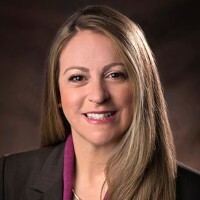 Ms. Stafford is a graduate of the Sandra Day O’Connor College of Law at Arizona State University where she served as both a staff writer and research editor of the Arizona State University Law Journal and participated in the leadership of various pro bono organizations. Ms. Stafford has also served as an adjunct professor at the Sandra Day O’Connor College of Law.